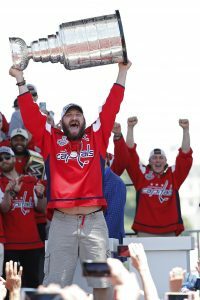 Decimated by losses this offseason, the Washington Capitals are focusing on rebuilding their team as quickly as possible so they can contend once again, but while there is some progress on the offense as some young players have stepped up, there hasn’t been that infusion of new talent on the Capitals’ blueline, writes Washington Post’s Isabelle Khurshudyan. After a disappointing playoff run which ended in the second round to the eventual champion Pittsburgh Penguins, the team endured multiple losses, including Kevin Shattenkirk, Karl Alzner, Justin Williams, Marcus Johansson, Nate Schmidt and Daniel Winnik. All of the losses were due to the fact the team was up against the cap, but the team instead focused on re-signing some of their core, including extending stars Evgeny Kuznetsov, Dmitry Orlov and T.J. Oshie. 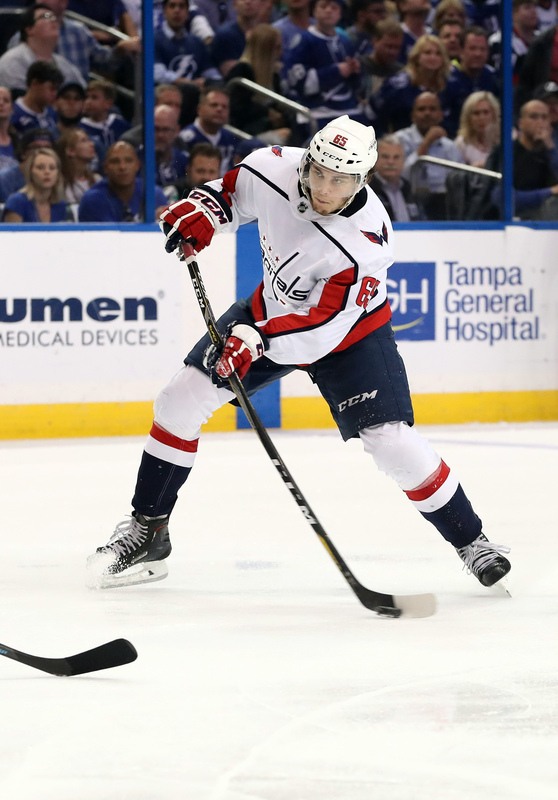 While the offense seems to have found replacements for their top lines in youngsters like Andre Burakovsky and Jakub Vrana, fixing the defense might be a totally different story, according to Khurshudyan. The scribe writes that Washington head coach Barry Trotz said that no defenseman has stood out so far into training camp to claim the final two spots in the team’s top six. Even with the losses of Shattenkirk, Alzner and Schmidt, the team still has a solid top four in Matt Niskanen, Brooks Orpik, Orlov and John Carlson. However, the team must fill in those final two spots. Amongst those defensemen attempting to win one of those two spots is Taylor Chorney, who has been the team’s extra defenseman for the past two years. The team also brought in two of their solid AHL defenseman in Madison Bowey and Christian Djoos, who the team hopes will be ready to take on a new challenge. The team also has several others ready to take a spot, including 2016 first-rounder Lucas Johansen, Aaron Ness, Tyler Lewington, and Connor Hobbs. Chorney has spent the last two years on the Capitals roster, but has managed to get into 73 games in those two years and just 18 last season. The 30-year-old defenseman accululated 11 points in those two years, but is trying to break the label of journeyman. Much of their defensive hopefuls come from their AHL affiliate, the Hershey Beras. Bowey, 22, is coming off an injury-shortened season in the AHL after suffering a gruesome ankle injury with the Hershey Bears. He managed to play only 34 games, but has lost 12 pounds and is skating faster than he did a year ago. Many people thought Djoos, 23, had the best shot to make the team’s roster this year as he had a great season for Hershey a year ago. He scored 15 goals and 45 assists for 66 points for them last year. Ness has also been in the Washington system, playing the last two years in Hershey. He also managed to get called up and get into 10 games over the past two years. A quality skater, he has played a total of 39 NHL games over the course of his career. Lewington, 22, played 72 games for the Bears last season, compiling 142 penalty minutes to go with 17 points. Johansen,19, was the 28th overall pick in the 2016 draft and many feel he might be ready to step into the team’s lineup, while Hobbs, the team’s fifth-round pick in 2015 had a breakout year with his junior team. The 20-year-old prospect, known for his hard shot, had 31 goals and 54 assists with the WHL Regina Pats. With the team right up against the cap, a trade would seem unlikely to aid the defense. So, the team hopes that two of these defensemen will step up soon to solidify the Capitals defense. Washington Capitals defenseman John Carlson will have his work cut out for him this coming season. The Capitals which had one of the deepest and most talented rosters in the league had no choice to break up their team due to salary cap issues. The team was forced to say goodbye to several players on their defense, including Kevin Shattenkirk, Karl Alzner, and Nate Schmidt, leaving Carlson to take on an even bigger role next year. The defense does still have some of their high-paid defensemen remaining on the roster, including 30-year-old Matt Niskanen, who has four years remaining on the contract he signed in 2014 at $5.75MM AAV. Brooks Orpik, 36, still has two years remaining on his deal which pays him $5.5MM annually. 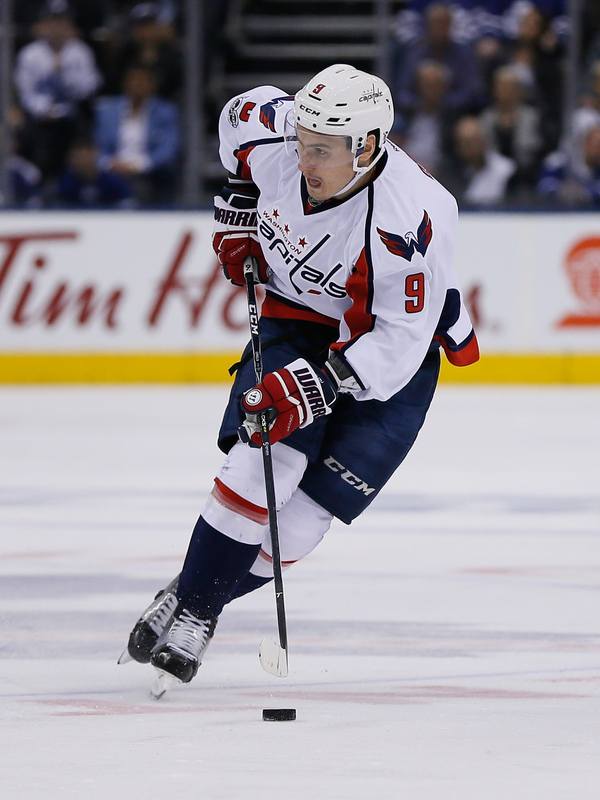 The Capitals also locked up 26-year-old Dmitry Orlov to a new six-year, $30.6MM deal this offseason. Carlson, who may have been one of the least noticed defenseman on his team, is currently fourth among the highest paid Capitals’ defenders at $3.96MM for one more year. He put up solid numbers of nine goals and 28 assists in 22:43 average minutes of ice time. He will likely have to do that again as the depth ends there. Carlson said he has always been used to youth in the clubhouse with last year being an exception, so the 27-year-old veteran is not surprised the Capitals are trending in that direction, according to Tarik El-Bashir of CSNMidAtlantic. Carlson said he wouldn’t be surprised if he ends up playing with a rookie next season. Currently, fifth on their depth chart is 30-year Taylor Chorney, who played in 18 games last year. AHL defenders Christian Djoos (58 points in 66 games) and Madison Bowey (14 points in 34 games) are currently penciled on the defensive depth chart. There is even some talk the Capitals might entertain promoting 2016 first-rounder Lucas Johansen from the WHL. The team still has time to make some additions as they still have more than $4MM in cap space. They could attempt to sign a free agent like Cody Franson to a minimal deal or attempt to broker a deal with the Vegas Golden Knights for one of their many defenders, but the Capitals have other holes to fill on offense as well, so in the end, they may go with what they have. Gone unnoticed was that the Capitals changed the name of their stadium last week. Previously known as the Verizon Center since 2006, the new stadium will be called Capital One Arena, according to NHL.com. Originally opened in 1997 as the MCI Center, and while the connection between Capital One and the Capitals is a clever one, the arena is also home to the Washington Wizards of the NBA, the Washington Mystics of the WNBA and Georgetown University basketball. A second-round pick in 2009, Orlov has developed into one of the premiere young two-way defenders in the league. His 33 points last season ranked him within the top 50 among defensemen, and both possession metrics and traditional scouting has him as a plus player in all ends of the rink. His smooth skating and control of the puck helps the Capitals exit the zone with ease, and with a little more experience on the powerplay he could become a big point producer. He even received a single fifth-place Norris Trophy vote this season as one of the league’s best defensemen. Orlov’s deal comes in just ahead salary wise of Toronto’s seven-year extension for Nikita Zaitsev, a similarly efficient two-way defender. Zaitsev has much less experience in the NHL, but actually outpaced him in points this season. The Toronto defender will average $4.5MM throughout his contract. Isabelle Khurshudyan of the Washington Post points out Nick Leddy’s deal with the New York Islanders, a contract that he signed at just 23. In that deal, Leddy will earn $5.5MM per season over seven years (five remain) though he had a longer track record of success than Orlov does. For the 25-year old, this deal comes as nice security after suiting up in all 82 games the last two seasons. Incidentally, the Capitals have won the President’s Trophy as the best regular season team in both those years, not in small part to Orlov’s contributions. He’ll join partner Matt Niskanen as long-term pieces for the Capitals, who will have a decision to make on John Carlson next summer. The 27-year old Carlson is an unrestricted free agent next year, and could potentially work out an extension with the team starting tomorrow. It’s unclear how much they’d want to commit to Carlson though, as they currently still have Brooks Orpik on the books for two seasons at $5.5MM. With new contracts due for Andre Burakovsky, Evgeny Kuznetsov and Philipp Grubauer it will be a tight fit for the Capitals this summer. They have just under $12.5MM left on the cap, which is expected to be almost entirely eaten up by extensions for those three. If the team wants to play in free agency, they’d have to find room somewhere else. If you’re thinking an Orpik buyout, think again; he would have had to been placed on waivers in order to get it in before the deadline at 4pm today. They may get another window later in the summer, but that will be long after most of the free agent frenzy has taken place.